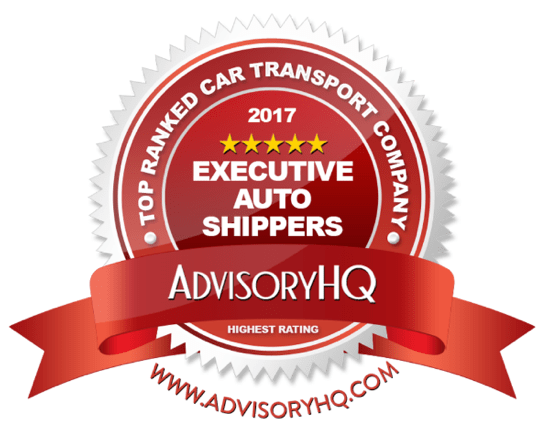 Executive Auto Shippers was recently ranked by AdvisoryHQ News as a top-rated car transport company. In the sections below, we provide a detailed overview, including the key factors that enabled this firm to be ranked as one of the top car transport companies in the country. Our high-level methodology process is based on a wide range of comparison factors like performance, transparency, team excellence, experience, innovation, and more to identify the top performing firms, products, and services. AdvisoryHQ News is a fast-growing global online news media that provides extensive research, reviews, and rankings of firms and products. Searching for top-rated firms, services, and products can be a daunting undertaking for a consumer, especially if that consumer is unfamiliar with the landscape. AdvisoryHQ is committed to simplifying the research that consumers conduct before choosing a top provider, firm, service, or product. Our review and ranking articles are always 100% independently researched and written. Firms do not pay for their ranking. In fact, most firms do not even realize that they are being reviewed by AdvisoryHQ until after our reviews have been completed and published to the public. For additional information on AdvisoryHQ’s methodologies, click here: AdvisoryHQ Methodologies. For information on AdvisoryHQ’s objectivity approach, click here: AdvisoryHQ’s Objective Process. Based in Monroe, Iowa, Executive Auto Shippers was founded in 2009 by a team of second-generation car transport professionals. The EAS leadership team has a combined 40 years’ experience in the industry, and they ship cars across the country and overseas. Just as in the beginning, the company continues to grow and thrive through positive word of mouth. Today, the company is a leader in ethical standards in an industry that is historically known for negative stereotypes. EAS ships vehicles all over the nation, including Hawaii and Alaska, as well as the domestic overseas destinations Puerto Rico, Virgin Islands, and Guam. They can ship all types of vehicles including daily drivers, luxury and exotic cars, motorcycles, ATVs, and UTVs. The client base includes a variety of people including those wintering in the south, students moving across the country for college or internships, corporate relocations, and military PCS orders. With an extensive background in the auto shipping industry, Matt Van Gelder decided to take his knowledge and start his own company with his wife in 2009. With a small client base, they began to build their business near their hometown in Iowa. With his experience, Matt has created a more personalized and strategic orientation focused on a “Customer First” ideology in an industry that’s not well known for customer service. This is implemented in both the company’s day-to-day operations as well as interactions with their customers. He works with clients to keep them within their budget while maintaining the best customer service possible. This is all part of his company’s analysis of the financial performance, where he adds in a third factor of customer satisfaction metrics. Matt monitors these closely and keeps open communication with his team about their customer satisfaction metrics, enhancing transparency and even applying these metrics as training tools. Ultimately, the goal of Executive Auto Shippers is to provide enhanced customer satisfaction—a focus which is reflected time and time again through their transportation services and dedication to customer service. Below are some key factors that allowed EAS to be ranked as one of the best car transport companies in America. This car transport company outlines several vehicle transport and support goals they put in place for each transaction they manage. Shipping a vehicle can be a stressful process, and Executive Auto Shippers takes extra steps to ensure that customers know exactly what’s happening from the time their vehicle is picked up, through transport, and up to the car delivery. Customer service representatives walk their customers throughout the entire process, all the way from the initial order until they have their keys in hand. As an additional benefit, all customers have access to a 24/7 emergency line to connect with a live representative to answer any questions that may arise throughout the process. The company prides itself on staffing well-informed, experienced customer service representatives to ensure that any customer question can be answered quickly and effectively. EAS also provides an enhanced GPS tracking service, which updates every six hours with an email and a map that pinpoints exactly where your vehicle is. Available for an additional fee, this service is a great way to provide automatic, daily communication, reinforcing their commitment to providing great customer service every step of the way. Executive Auto Shippers is driven by customer satisfaction, a fact which shines through in their two guarantees. The first is their One Price Guarantee, which lets the customers know that once they’ve booked their shipment with the company, the price will not change. It also ensures that they will not incur other fees unless something changes with the shipment itself, such as type of vehicle or dates to ship their car. Customers can also benefit from their Rental Car Guarantee. This helps cover a very delayed shipment that is outside the guaranteed transport time, offering a reimbursement for a standard rental through Enterprise Rent-A-Car until the vehicle arrives. Because of possible delays with customs or docks, the Rental Car Guarantee does exclude overseas shipments or containerized shipments (including Alaska and Hawaii). Despite these exclusions, this guarantee applies to a wide range of auto shipments, providing additional peace of mind for families and individuals moving across the country. One of the most unique elements of this auto shipping company is their unique inclusion of a Resolution Specialist. This is a point of contact designated to facilitate the process of shipping a car, creating a smooth and seamless experience for each customer. While they have an excellent track record—99 percent of vehicles arrive without any issues—the Resolution Specialist is ready to work as an advocate between carriers and insurance companies throughout the claims process until a resolution is found. The Resolution Specialist may be responsible for collecting needed documentation and maintaining communication with carriers and insurance companies. EAS has consistently been recognized for outstanding service by Angie’s List, a popular website dedicated to connecting members with the best service professionals for their needs. The Super Service Award is the highest accolade available on the website, meant to recognize providers for outstanding service throughout the year. 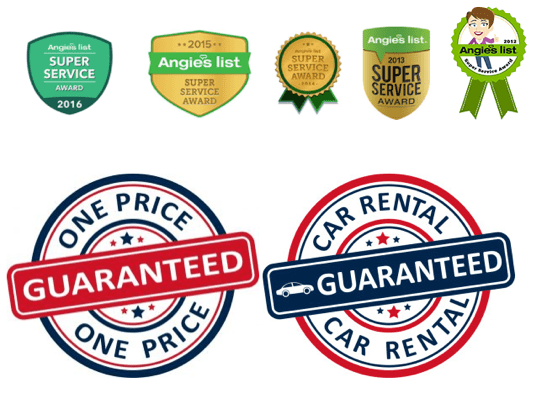 With so many positive reviews from Angie’s List members, it’s easy to see why Executive Auto Shippers continues to receive the highest recognition. Over a thousand customers have given the company an ‘A’ rating for Price, Quality, Responsiveness, Punctuality, and Professionalism—all qualities that relate back to the company’s commitment to providing superb customer service. With a three-year growth of 267 percent and over $4 million in annual revenue, Executive Auto Shippers is also ranked 1512 on the 2017 Inc. 5000 list of the fastest-growing companies in America. It’s rare to find a company with consistently positive reviews, particularly in the auto shipment industry—but Executive Auto Shippers has a strong track record of bringing in great customer reviews. They have an ‘A+’ rating on the Better Business Bureau, and have been accredited since 2010. ConsumerAffairs gives the company a full five-star rating, based off hundreds of satisfied customers attesting to their strong customer service, reliable delivery, and competitive pricing. Additionally, customer review engine BirdEye has rated Executive Auto Shippers as a Best Business in Monroe, IA, with 4.9 stars out of 5 from nearly 2,000 reviewers. Even employee reviews from Glassdoor are overwhelmingly positive, with 100 percent of employees saying that they approve of the CEO and would recommend the business to a friend. Executive Auto Shippers also publishes customer reviews directly on their website, increasing transparency and adding to their long list of proven success with customer satisfaction. EAS works to educate their customers so they are fully aware of how the process works and what they can expect. As such, their website reflects detailed information about their services, what customers can expect during the process, and even about the auto shipping industry itself. For customers interested in learning more about the industry itself, Executive Auto Shippers maintains a blog filled with useful information on current auto transport topics. A Permanent Change of Station (PCS) can be a stressful transition for military families, and EAS goes above and beyond to ensure that military families are well taken care of. They even offer a military discount through Military Cost Cutters, a veteran-owned company that works to connect military-friendly businesses with veterans and service members. You can use their contact form to reach the company directly with any questions, comments, concerns, or to receive a free auto shipment quote. The company also maintains an active presence on social media, including Facebook and Twitter. This Executive Auto Shippers review was independently conducted by AdvisoryHQ. Firms do not pay for their ranking. In fact, most firms do not even realize that they are being reviewed and ranked by AdvisoryHQ until after our ranking publication has been completed and published to the public. Our focus is on the everyday consumer. All of our research and publications are conducted from the end-user consumer’s perspective, and we publish our top-ranking reviews for anyone to view for free. However, after we’ve published our top-ranking publications to the general public, firms can request to have a separate personalized profile, like the one above, which incurs a charge.